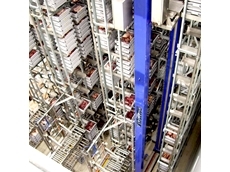 ICA can customise belt conveyor systems to suit individual requirements. INDUSTRIAL Conveying (Aust) Pty Ltd(ICA) provides a range of belt conveyors to suit almost any application across a range of industries including food processing, packaging, manufacturing, warehousing, transport and handling. 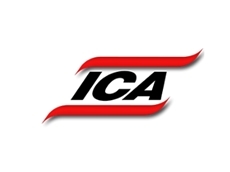 Regardless of product size or flow rates, ICA can design its belt conveyors to suit the unit load or bulk material capacity and can do these as standalone units or as part of a turnkey project. ICA can also design these systems according to whether the material path is horizontal, inclined or declined, and speed can be set to a predetermined rate. 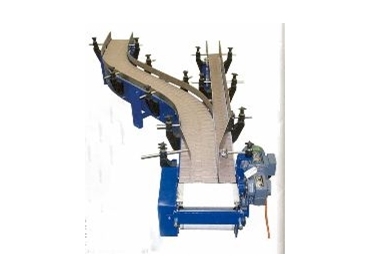 * Standard belt - A multi-purpose conveyor designed for production and assembly lines. 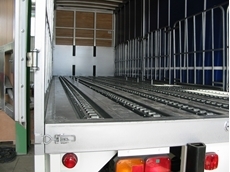 * Telescopic conveyor - This proven and highly successful loading/unloading system is for all types of cartons, cases and sacks is quick and efficient for loading and unloading trucks, freight cars, containers and wagons. 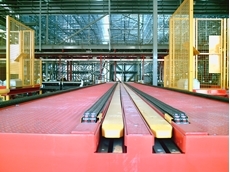 It has a height adjustment and a lateral movement capability that positions goods precisely to reduce operator fatigue. * Flat belt conveyor - These are designed to suit height, width and incline requirements and are available with custom made hoppers and chutes. The finished product can be supplied either in painted or food grade stainless steel finish. * 90° belt curve - With knife-edge transfers, ICA's true 90° bend orientates products evenly around the bend to ensure continuous product flow. Supplied either in painted or food-grade stainless steel finish, the belt curve is also available in 180° where required. * Carousel picking conveyor - Used predominantly for order picking and product inspection, the ICA carousel picking conveyor is available in a variety of lengths and widths to suit individual applications. 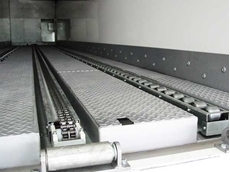 It has an overlapping slat-bed for sorting and accumulating products of all shapes and sizes while it improves efficiency and reduces manual handling at packing stations. * Modular belts/slat band conveyor - Ideal for packaging and bottling lines, this system is designed to suit specific layout requirements and is available with accumulation-, merger- and transfer-points. It is provided in a choice of stainless steel or painted construction.